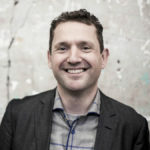 We have more opportunity than ever to act and make things ourselves, while connected to and embedded in globally connected networks and globally accessible knowledge. Our world is however a closed system with restraints in terms of resources, with only our creativity in true abundance. So we better learn how to act, prototype, design and make well. Whether it is a product, a system, a structure or a new routine. So we better make stuff that really solves something for you or others, that makes something important possible. So we better Make Stuff That Matters. Join us at the MidSummer Unconference & BBQ! 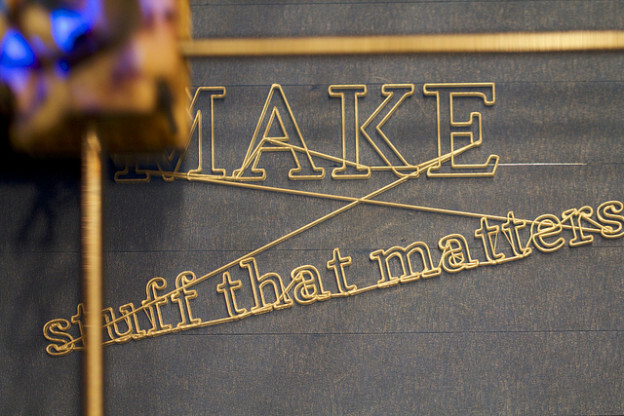 On 20 June the MidSummer Unconference ‘Make Stuff That Matters!‘ will take place at our home in Enschede. The next day, 21 June, mid summer night, we will host the MidSummer BBQ, with not just the participants of the Unconference, but also a large number of other friends, colleagues, clients and family. We will be sending invitations soon, but the event is basically open to anyone. (We’ve always had a few guests we didn’t know beforehand, and it always works out well.) Want to be there? Let us know! At the ‘Working on Stuff that Matters’ unconference in 2010 we talked about it being and creating an ‘epic sh*t multiplier’, a way to make the impact felt beyond just the event. This time we will aim for an ‘epic sh*t incubator’, a way to kickstart and bootstrap yourself and make things. It will be outside our own comfort zone, and outside yours. Because it is fun and inspiring! The energy we get from these events sustains us in our work for years afterwards. We are privileged to know many interesting and inspiring people, including you, and enjoy bringing you together. Friends, peers, colleagues, family and clients, they make for a wonderful mix. We have organized these type of unconferences before. In 2008 for Elmine’s birthday, there was an unconference on ‘work-life balance’, a fitting theme for a conference on your birthday. In 2010 for Ton’s birthday the theme was ‘Working on Stuff that Matters‘. 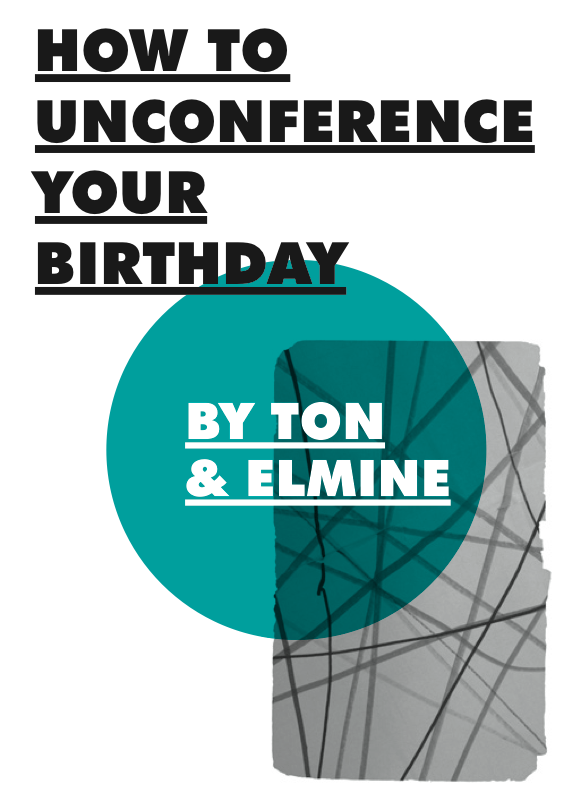 In 2011 we created an e-book ‘How to Unconference Your Birthday‘ as a gift for all participants. In 2012 we organized the ‘BBQ At the End of the Universe‘, without an unconference. 20 June 2014 Friday, MidSummer Unconference “Make Stuff That Matters”. 10:00-17:30, door open 09:00, drinks and Chinese / Indonesian buffet dinner 17:30-21:00. Location: Ton and Elmine’s home (or another venue depending on number of participants), in Enschede. 21 June 2014 Saturday, MidSummer BBQ, from 15:00. Location: Ton and Elmine’s home, in Enschede. Places to stay: List of hotels/B&B’s. Limited space is also available at our home, preferably for those traveling on a tight budget. Ask us if you’d like to stay at our place. Sorry, our home is fully booked! Also see the growing confirmed participants list, and the Facebook Group. With 17 confirmed participants from 7 countries, we are now just under three months away from the ‘Make Stuff that Matters UnConference‘ that Elmine and I are hosting on 20/21 June. This weekend we announced one of the key ingredients: FryskLab is coming! This 12 meter long truck, is a converted mobile library, and now houses maker machines. It is operated by the provincial library for Fryslan in the north of the Netherlands. Equipment for 3d-printing, laser cutting and milling is all on board and will be parked on our doorstep. A facilitator will be there to teach participants and neighbours to use the machines. As the FabLab bus is taking up quite a bit of space, we do still need to talk to the neighbours about using some of the parking spaces. But as they will have the opportunity to play with the machines as well, I am sure the neighbours won’t mind much to park their car a bit further away for 2 days.